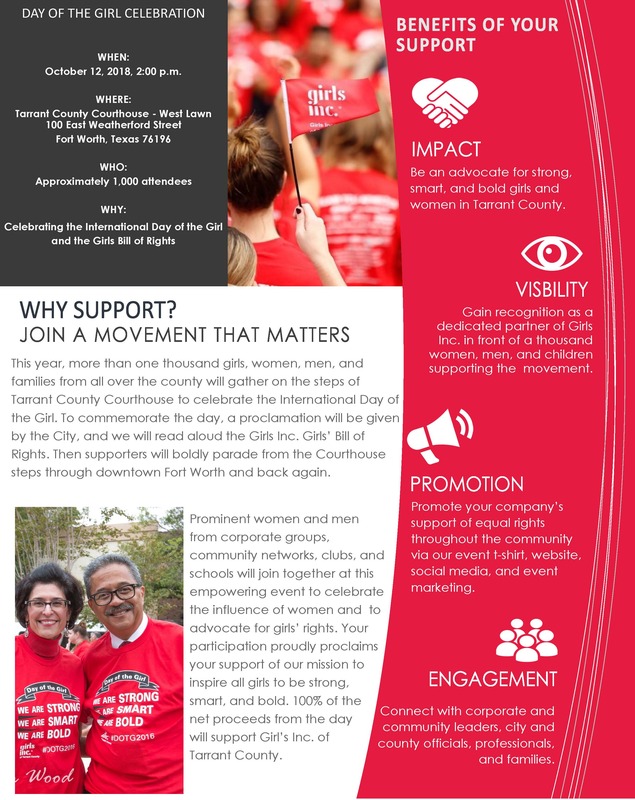 This year, more than one thousand girls, women, men, and families from all over the county will gather on the steps of Tarrant County Courthouse to celebrate the International Day of the Girl. 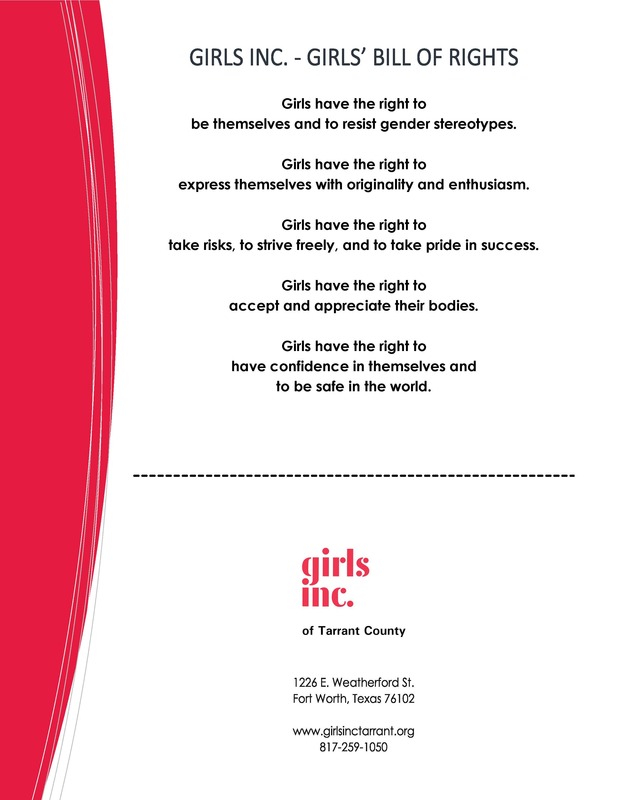 To commemorate the day, a proclamation will be given by the City, and we will read aloud the Girls Inc. Girls’ Bill of Rights. Then supporters will boldly parade from the Courthouse steps through downtown Fort Worth and back again. Prominent women and men from corporate groups, community networks, clubs, and schools will join together at this empowering event to celebrate the influence of women and to advocate for girls’ rights. 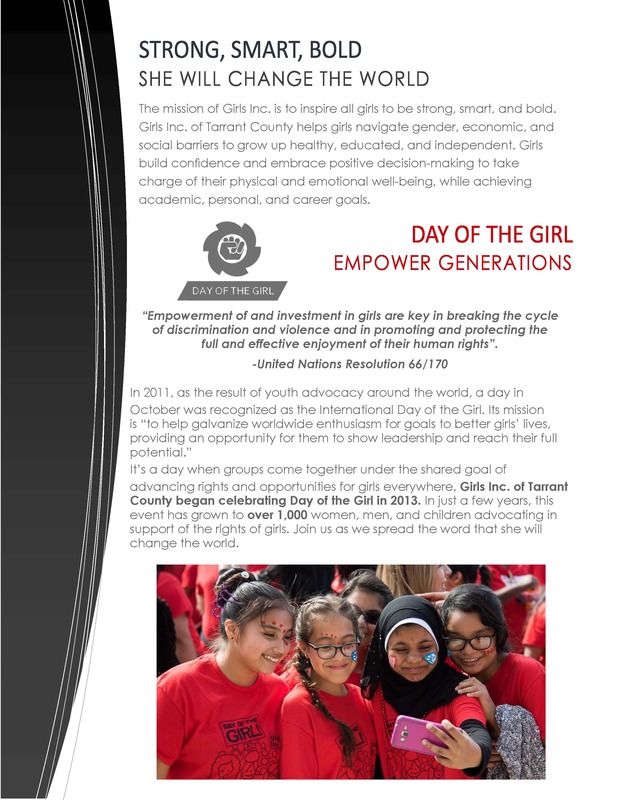 Your participation proudly proclaims your support of our mission to inspire all girls to be strong, smart, and bold. 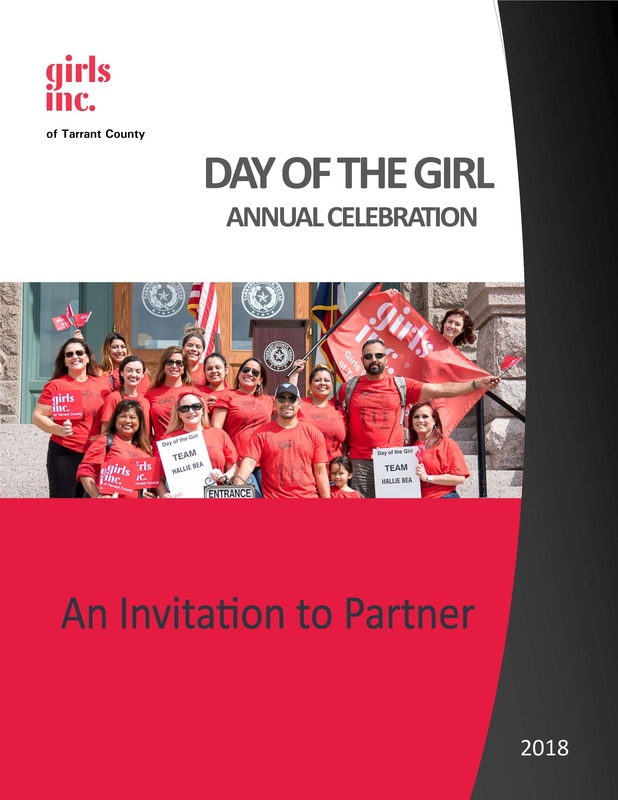 100% of the net proceeds from the day will support Girl’s Inc. of Tarrant County.